A great deal of effort has been expended by Anglo-American scholars in an attempt to isolate past and contemporary "fascisms", "neofascisms", "cryptofascisms" and "latent" fascisms in the modern world. 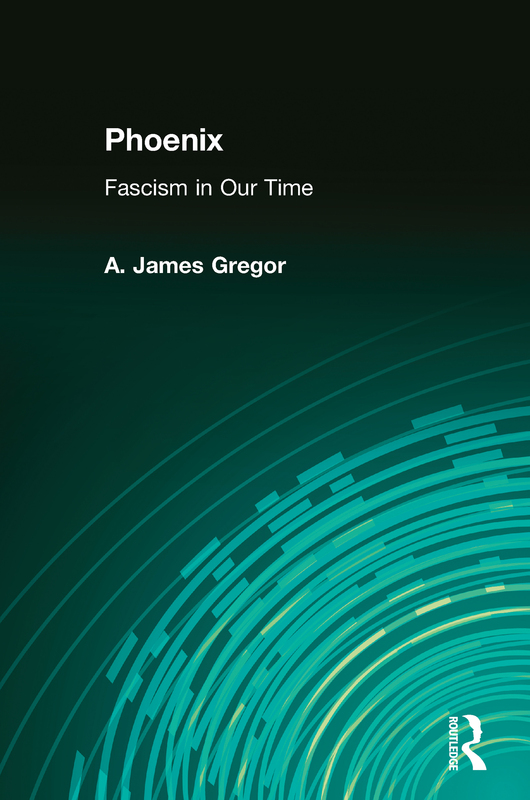 A. James Gregor's "Phoenix: Fascism in Our Time" is an insightful history of the intellectual rationale for Benito Mussolini's fascism offered by major Italian intellectuals. The book provides a list of recurrent features that helps to identify the generic phenomenon. This lucid account reviews seriously neglected aspects of intellectual history, describing the socioeconomic and political conditions that precipitate and sustain fascism. Gregor shows that Italian fascism was supported by a responsible and credible rationale. His account of that rationale permits us to understand the appeal fascism as an ideal has exercised over elites and masses in the 20th century. Gregor offers a credible list of traits in showing how instances of fascism can be identified when they first appear. The last chapters of the work are devoted to a case study of the newly emergent post-Soviet Russian nationalism and its affinities with historic fascism. Gregor discusses the implications of the rise of generic fascism in the former Soviet Union and post-Maoist China. This timely volume offers an alternative to conventional interpretations of the major historical events of the 20th century. "Phoenix" is must reading for scholars and policymakers dealing with European history between the two world wars, and should will be instructive for anyone interested in the fascist ideology in a new millennium.